SharePoint 2010 is a very comprehensive platform, but mobile support is fairly limited. Although it is technically possible to customize the mobile user interface on the server side, this is not allowed in cloud based SharePoint (e.g. in Office365). Although each of the APIs offer a distinct set of capabilities, the REST interface is simple and lightweight and I prefer this for mobile use. The SharePoint REST interface offers full CRUD access to items in SharePoint lists and libraries, which might be all that you need for your mobile web app. Because of the Same Origin Policy, your html file must be served from the same domain as the SharePoint site you want to access. You can place your html file containing your app on the server file system or in a SharePoint document library (e.g. site assets). If you are using SharePoint Online (Office365), you will notice that when you select a .html file in a doc library, it is presented as a download, not opened in the browser. This is due to SharePoint settings which you are not allowed to change in SharePoint Online. As a workaround, simply use an .aspx file extension, instead of .html. This way, you can start your single page SharePoint application from a file in an asset library. 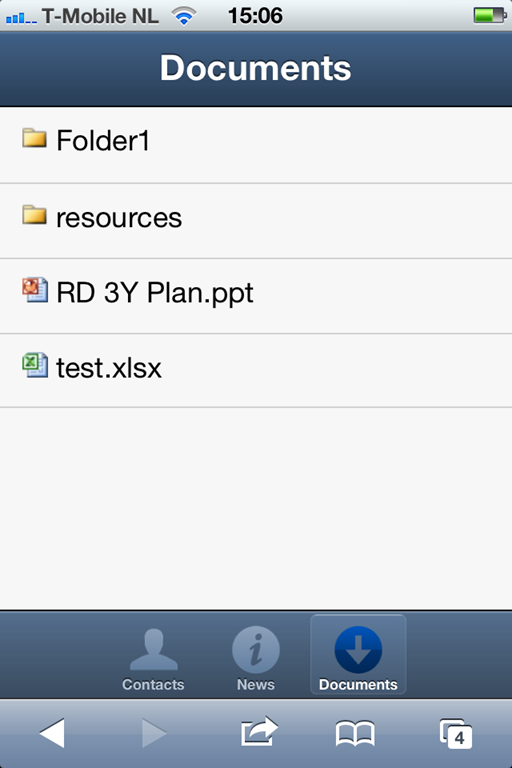 So, to get going, you need to create a app.aspx file to include all the css and js for your Sencha Touch app. Not quite what we expected… SharePoint has detected that we access the page with a mobile device and responds with the default mobile UI. You can suppress the default mobile UI by appending ?mobile=0 to the url. Yes! 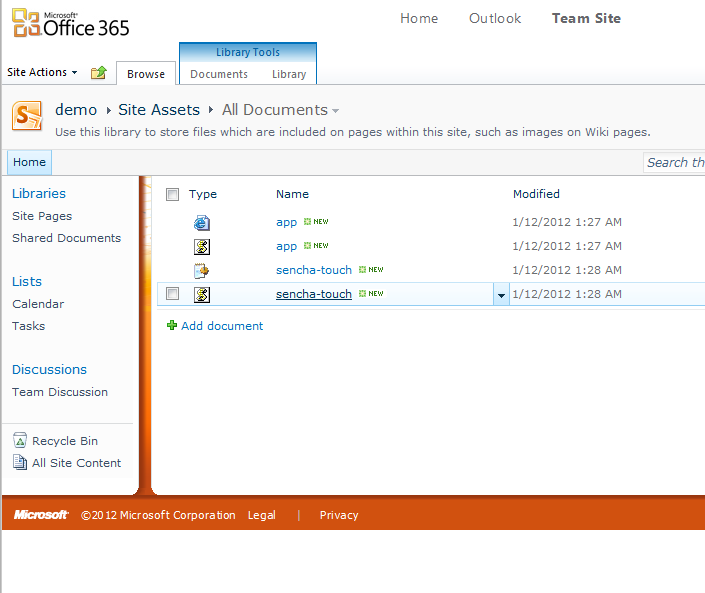 We now have a Sencha Touch web app running of a SharePoint server. 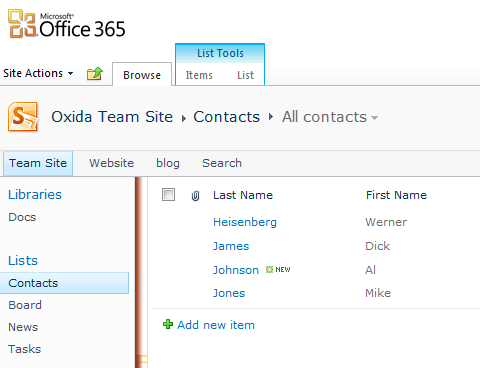 The next step is to connect Sencha Touch models and stores to SharePoint items and lists through the REST interface using the OData protocol. For this you will need an OData proxy. I developed an OData proxy as a Ext user extension. It is designed to access SharePoint data using the SharePoint ListData.svc REST service which is based on OData. You may use it for other OData sources. Let’s look at some examples how you can use the SharePoint proxy. In these examples we will assume you have a subsite ‘/teamsite’ in which you have created a Contacts list based on the standard Contacts list template. First we need to define the Model. Using the odata proxy to configure your Models and Stores that connect to the SharePoint server, you can develop your app further just like any other Sencha Touch app. 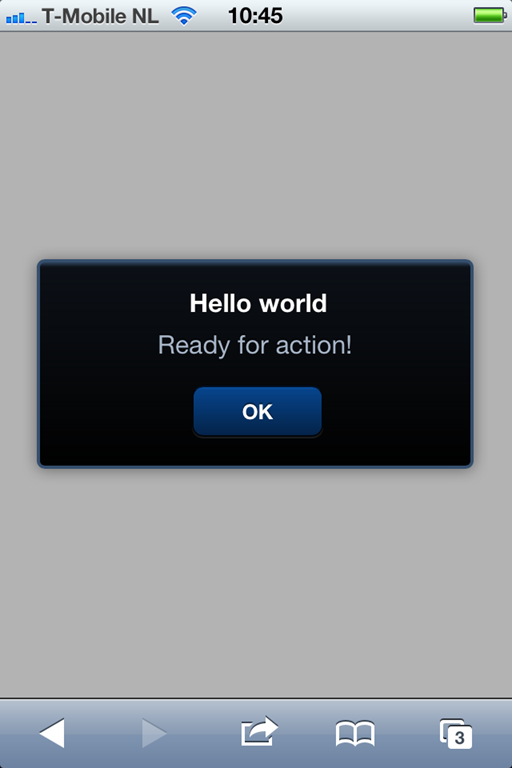 Check out the tutorials on the Sencha site for more info. 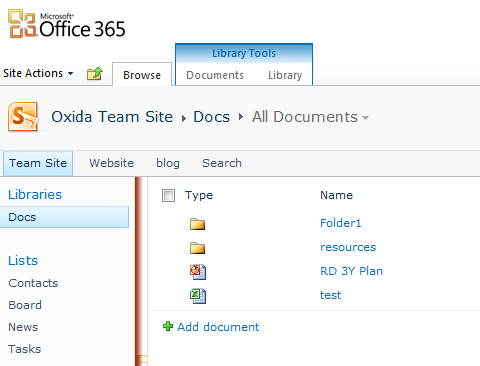 A live demo is available at http://oxida.sharepoint.com/demo. 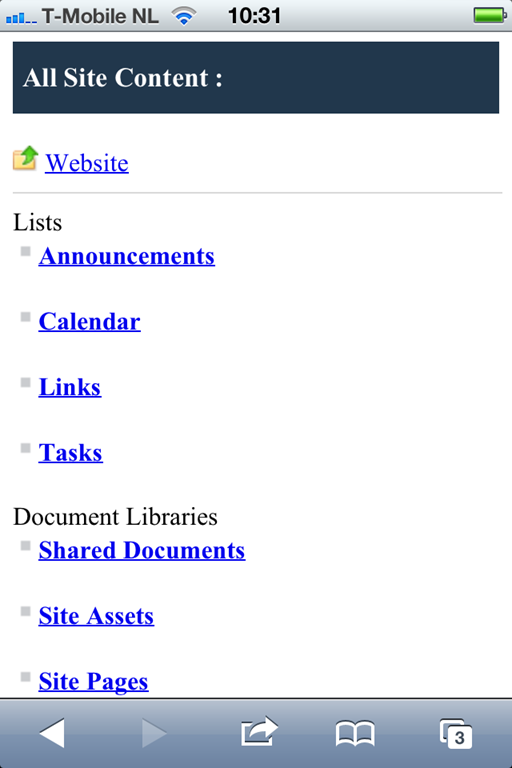 You can open the mobile web app and also explore the content of the SharePoint site with a desktop browser. 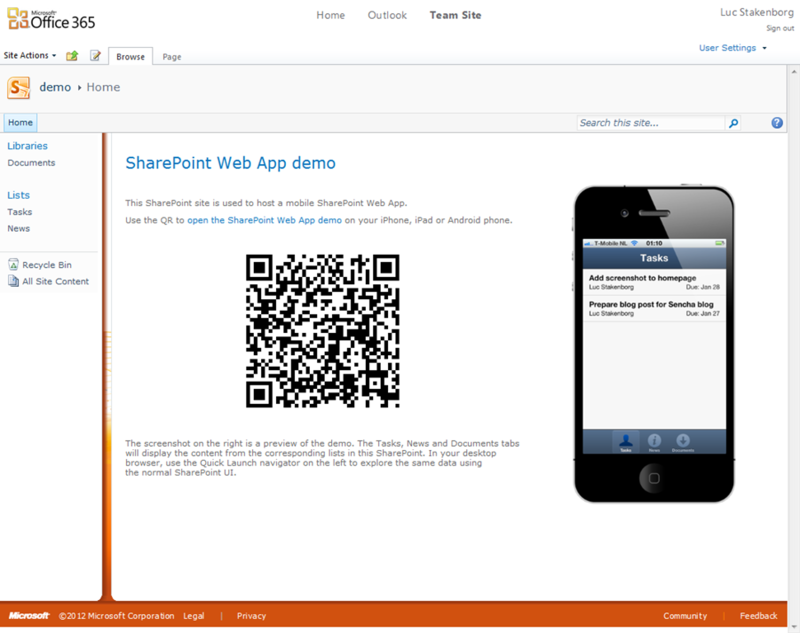 Sencha Touch and SharePoint are a great combination and open up exciting new opportunities for companies using SharePoint. Give it a try! In this post we will explore how to work with SharePoint data in a browser based application using the popular Backbone.js library. While Web Services and CSOM provide an wider range of capabilities, ListData is a lightweight RESTful interface offering CRUD access to SharePoint lists and items. It is based on the OData specification. Backbone.js provides models and collections to work with data on server. Out of the box, models and collections can connect with a RESTful JSON API following common REST conventions. However, to work with the SharePoint ListData interface, some customization is required. Backbone.SharePoint is a Backbone.js plugin providing special Models and Collections which you can use to work with SharePoint Items and Lists. You can find Backbone.SharePoint on GitHub. partial updates: only changed attributes are sent to the server during an update. Because of the Same Origin Policy, your html file must served from the same domain as the SharePoint site you want to access. You can place your html file containing your app on the server file system or in an asset library. Now let’s look at some examples how you can use Backbone.SharePoint. Let’s assume you have a subsite ‘/teamsite’ in which you have created a Contacts list based on the standard contacts list. 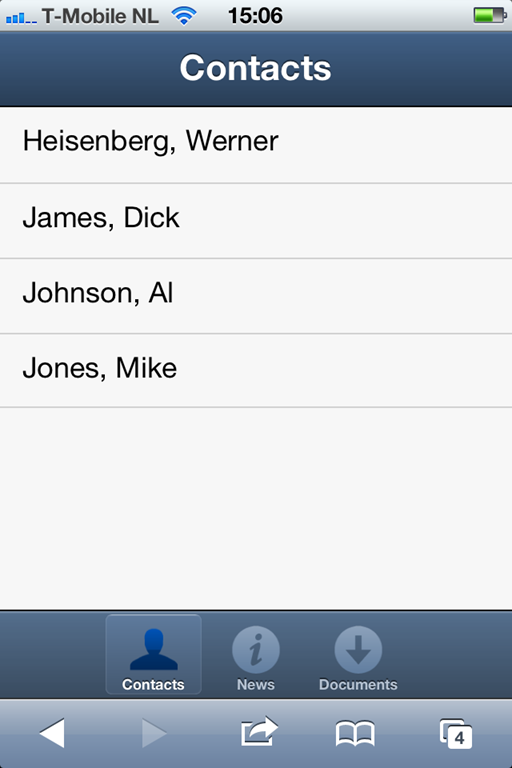 // Create a new contact, the attributes refer to item column names. // so let's save it to the server. Working with SharePoint lists is similar to collections. Hopefully this is sufficient to get you going!